Visible in the Bukit Peninsula are layers of tertiary limestone resulting from the tectonic subduction of the Indo-Australian Plate under the Eurasian Plate, bringing it above sea level. 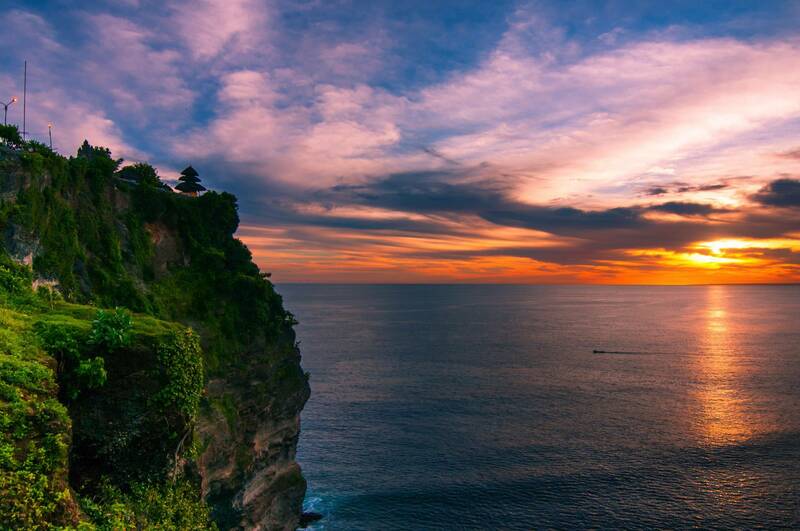 Uluwatu borders the Indian Ocean to the south. Starting from the top of the series of wave breaks to the bottom, the wave is composed of five breaks: The Bombie, Temple, Outside Corner, Racetracks, and The Peak. Bombie is the first of the five breaks in the Uluwatu series, located on the outer reef. Well known for breaking boards and snapping leashes, Bombie is an extremely powerful wave. On bigger swell days the wave can reach up to 20 feet. With fairly consistent surf year round, the best time is from May to October. This is the dry season with southeast winds. The typical surf arises from groundswells, coming in with a southwest swell direction. Bombie has a left breaking reef. 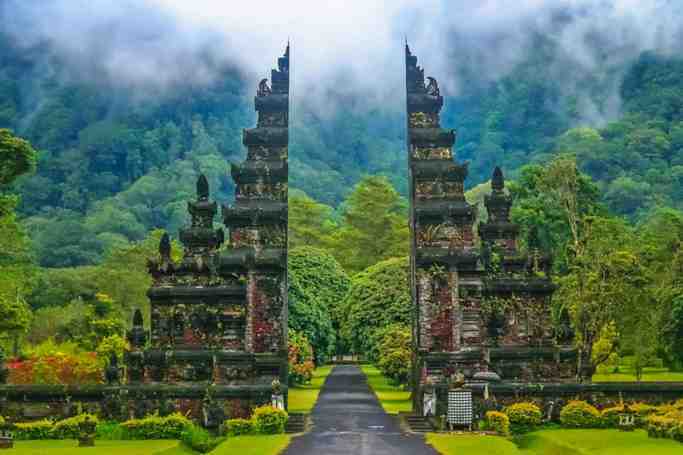 Temples received its name for being the closest wave to the Uluwatu Temple. It is the second wave break in the series. Mid to high tide is the perfect time for temple, with it being a hollow and long wave. This wave is recognized by the heavy amount of swell it receives. It is not a highly populated wave by surfers because it takes more effort to get out to it. Next in line is Outside corner, making this the other outer reef portion of Uluwatu. Outside corner is next in line to The Peak and Racetrack, connecting them as swells pick up. During low tide, experiencing breaks can be expected on the biggest swells, but not before reaching 6 feet. Some of the waves during this time will build up, reaching 15 feet. This makes for a ride that covers approximately 300 yards (270 m). Racetracks makes for an incredibly fast ride. Low tide is its prime time. During low tide, large barrels form at the end of the ride. The water is extremely shallow here making it something to be cautious of. Beware of the reef at the end of the ride, Racetracks is known to dry dock there, making it a high concern for surfers, and very dangerous. Mid tide is another great time for surfing. Unlike low tide, during mid tide, the barrels are more navigable, and it is more likely to reach the end of the ride with success. Last in the series of break, the Peak is found. 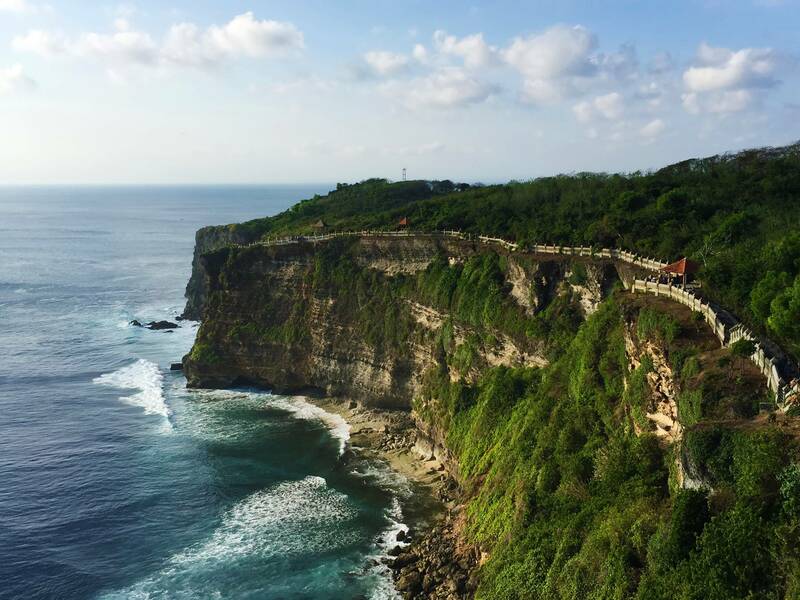 It is located right at the base of the cave, making this the entry and exit point of Uluwatu. The Peak operates well at every tide stage. Coming in best at high tide this wave makes for many hallow barreling waves. Unlike high tide, low tide at the Peak is known for closing out. The peak has a reef break. Winds from the southeast make the most ideal waves. It is key to have a board the size of 6’8-7’4 while surfing this wave. Due to deep-water channels on both sides of the Bukit Peninsula, swells are mainly found there. Strong currents make for larger swells at low tide. During these lower tides and large swells, the Peak, Racetracks, and Temples are all under white water, and Bombie and Outside Corner take the swells, creating 15 feet (4.6 m) waves. At high tide, small swells will be more prevalent, creating barrels.